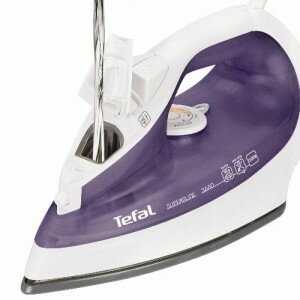 When reviewing steam irons, it is very easy to focus solely on steam power, steam pressure, and the iron’s heat. After all, these are the core functions of a steam iron. A steam iron doesn’t deserve to be called a steam iron if it doesn’t bring decent value to the table as far as these core functions are concerned. No debates here. However, it bears understanding that sticking to core functions will just leave us with an appliance that is merely ‘good enough.’ This is not enough. This won’t do. When you are on the market for a product or service, you owe it to yourself to buy a product or retain a service that goes beyond ‘good enough.’ Yes-core functionalities or core competency (in the case of services) are crucial but you need to go beyond the basics so you can get full value for your hard-earned money. You shouldn’t compromise on these core functionalities but you shouldn’t settle for barebones offerings either. 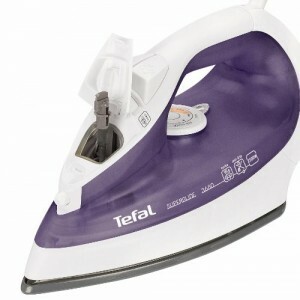 This is precisely the kind of analysis we have to keep in mind when sizing up the Tefal Superglide FV3680G1 Anti-Scale Steam Iron both against other products in its category as well as assessing its own ability to provide the best value for its intended purposes. Happily, on both counts, this model acquits itself quite well. If you are going to be buying a steam iron, your first line of analysis must start with the question of ‘can it do the job?’ If the answer is no, there is no need to proceed any further. There’s no point. Any steam iron worth its salt must provide a convincing answer to this question. In fact, the answer must be no less than a resounding ‘YES!’ Otherwise, there are just too many other models and brands out there clamoring for your hard earned cash. No need to compromise and buy a model that can’t even provide the base minimum performance requirements of producing steam, high heat, and delivering it where it needs to go. Put in as simplest of terms as possible, if you are looking at a steam iron that is weak on steam power and pressure, you are simply wasting your time and money. The only exception (and barely at that) is a travel iron. Other than that limited exception, you have to insist on a very beefy head of steam and strong enough steam pressure so the device can knock out light and moderately heavy wrinkles and creases. 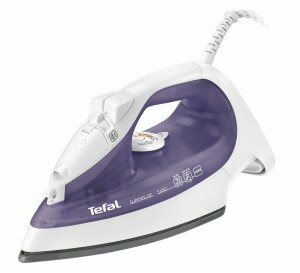 Thankfully, the Tefal Superglide FV3680G1 delivers 35 grams per minute of continuous steaming power. While this doesn’t exactly tip the scales as far as steam power goes, it is enough to handle most everyday wrinkles. To get you through those rough spots, this unit also delivers a 100 gram per minute steam shot. Not bad. Not bad at all. As far as pressure is concerned, its 100 gram steam shot is adequate. Again, it isn’t nothing spectacular but it isn’t low enough to worry about. This unit’s steam power is definitely mid-range. If this review was to begin and end with a discussion on and analysis of the FV3680G1’s steam credentials, you would probably be better off getting a Philips or another steam iron since many other models bring more power as far as steam is concerned. Instead, the FV3680G1 should be on your short list of steam iron purchases because it offers a complete package-its extra features complete it. Let’s face it, most people aren’t exactly jumping for joy the moment the thought of steam ironing clothes for work or daily activities crosses their mind. In fact, most people would procrastinate. They’d rather do anything but iron. This is perfectly understandable because too many irons in the market have a soleplates that collect fibers through repeated use. Eventually, these fibers would accumulate to such a level that they produce a very heavy drag on the iron. It just takes more and more effort to iron. At some point, the unlucky owners of such irons would have to get new irons and repeat the process again. And again. For years. Thanks to the FV3680G1’s soleplate design, dubbed Ultraglide, ironing can mean simply gliding over fabric surfaces. No need for a hard slog. No need to put extra pressure on your arm just to move that iron from left to right. Thanks to this iron’s smooth soleplate, moving your iron to knock out even stubborn wrinkles doesn’t take as much effort. This means you can be finished with your loads faster. Also, this means fibers stick less to your soleplate. This can extend the practical life of your iron by quite a bit. The two features that should make any veteran iron owner excited about this 26.95 GBP iron are its anti-calc and anti-drip features. These features make all the difference. One of the greatest threats to the life of a typical steam iron is the formation of hard water deposits like calcium in the water channels of the iron. A steam iron has very narrow and small water channels. Water must flow easily and smoothly from the water cartridge to the steam plate to the steam channels and on to the surface of the fabric you are ironing. If calcium or other hard water deposits build up in these tight spots, you won’t get at much steam to the surface you are ironing. You have to make several passes just to get the smooth look you want. Also, if enough hard water deposits build up, your iron might blow up. 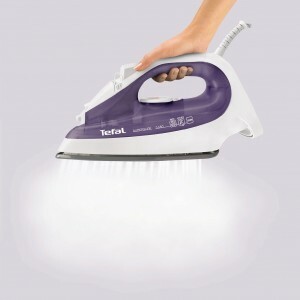 Regardless, hard water deposits can effectively shorten the working life of even the most powerful steam iron. The FV3680G1’s anti-calc design reduces calcium formation and ensures your device will work for a much longer time. Another key problem the FV3680G1 solves is dripping. When water drips from your iron, you have to work twice as hard to dry up the drips and iron out wet spots. Thanks to this model’s anti-drip technology, you don’t have to worry about those pesky drip spots anymore. Given the great soleplate design and the anti-calc and anti-drip design of this model, you get decent steam power and great performance-boosting extras. Quite a solid total package. Thanks for the review and tips. I’m just about to go out and buy a new and better iron to replace the very low end dry iron at the house. Plus another one which is steam, but low end. They result in my wife dreading ironing chores. It will be a Tefal, even if there may be better ones around. My wife had tried out a model which my sister had bought for my mother and she was pleased with it. Can’t remember the model though. But I think I’ll try to find this model (in Malaysia) that you had written about.